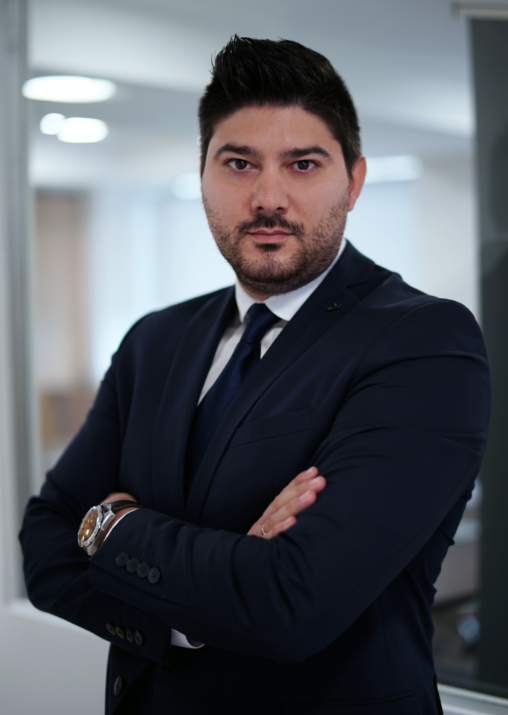 Prokopios Katsaros, Head of Brokerage at Cyprus-Based Prime Brokerage TopFX, has joined LeapRate for an interview, sharing details about the company’s 2-in-1 broker solution, its partnership with Forex software provider Spotware, and more. LR: Hi Prokopios, and thanks for joining us today. Please let us know a little more about TopFX’s 2-in-1 solution for brokers, and how your partnership with Spotware came about. Prokopios: Hello and thank you for having me. As you already mentioned, the 2-in-1 broker solution is the product of our partnership with Spotware, the developer of cTrader, a suite of innovative trading platforms. Our partnership has generated a competitive product which combines our Tier-1, aggregated liquidity along with a complete trading platform solution. We truly believe that our product incorporates unique features that appeal to even the most demanding audience. Specifically, the new cTrader platform has an integrated Copy and Automate trading feature that enables brokers to expand their target market and attract clients who are interested in these trading methods, as well as in the “traditional” manual trading. Our 2-in-1 solution is also fully customisable to any broker’s logo and theme so that it follows their marketing guidelines. From day one, they will be able to offer their clients multi-asset trading across Forex, Indices, Energies, Metals and Cryptocurrencies while retaining full control over their risk management. Last but not least, our 2-in-1 offer gives brokers plenty of flexibility, overcoming the usual limitations that are found in similar types of offers. LR: What types of clients do you aim to attract with the 2-in-1 solution? Where do you see the opportunity? Prokopios: Our 2-in-1 solution is a very well-thought-out product and appeals to both start-ups and established brokers. We wanted to create a product that could be used from the smallest broker to the largest firms in this ever-growing and competitive market. For a start-up broker, entering the e-FX and CFD industry is not an easy task, and it requires spending a lot of time and resources in order to find the best combination of liquidity and platform provider. Even if brokers decide on a potential provider, they have to ensure that everything can be integrated with no issues. Our 2-in-1 solution has everything a new broker may need, as it combines simplicity, speed and a reasonable price point, compared to any other similar product currently offered in the market. It allows brokers to easily set up their business and streamlines different components due to the fact that cTrader requires no bridge to connect to TopFX liquidity, ensuring seamless integration and optimal performance. In regards to established brokers, they can benefit from expanding their product offering with the addition of other asset classes. As already mentioned, TopFX offers CFDs on Forex, Indices, Energies, Metals and Cryptocurrencies, providing great opportunities for portfolio diversification. Moreover, brokers can attract a growing number of traders who prefer trading on cTrader. The platform not only features highly advanced trading tools but also enables its users to copy trade or use cBots to automate their trades. That way, a broker that chooses the 2-in-1 solution can expand their customer base and retain existing clients by offering them more choices. So looking at all the above reasons, we believe that we have indeed created a package of real value. LR: What other services is TopFX now offering? Prokopios: Since 2010, the year in which TopFX was founded, our priority was to establish and maintain key relationships with Tier-1 institutions. Hence, we are in a substantial position to offer deep liquidity across multiple asset classes and tailor our services to our clients’ specific business needs and goals. Succeeding in this competitive industry boils down to being efficient; for that reason, not only have we ensured optimal execution speed via our low-latency Data Centres in LD4 and NY4 but we also continually strive to improve our overall execution stability. We want – and have already achieved it to a great extent – our clients to get stable, uninterrupted price feeds without gaps, requotes or spikes. Besides offering a stable price feed and lightning-fast execution, our aggregated liquidity can be connected to any trading platform or bridge software via FIX API. Nevertheless, the ability to customise and tailor our product doesn’t end there: our clients enjoy flexible exposure control and have access to detailed reporting. In this way, we ensure that they can manage risk effectively and have post-trade transparency at all times. LR: There have been a lot of changes lately in the Retail FX broker space, driven both by regulation (like ESMA’s leverage cap) and increasing competition. From your unique perspective, what changes do you see for the industry in the coming months? Prokopios: The Forex industry is constantly changing and expanding. Every day we all see new firms coming in and establishing their presence. It is a very challenging environment in terms of both competition and regulations that become stricter, but at the end of the day, obstacles can become opportunities for improvement. The main challenge that the CFDs industry faces at present is the restrictions that have been imposed by ESMA. At TopFX, we understand that ESMA’s intention behind this ruling is to protect investors from incurring losses that they cannot afford. Therefore, ESMA’s decision is based on legitimate reasoning and may yield positive changes as far as investors’ security is concerned. Nevertheless, over-regulation might not discourage inexperienced investors from trading CFDs, it might just send them to offshore or unregulated brokers, where their security is compromised to a much greater extent. Once traders turn to those brokers, they lose the benefits that they get when trading with regulated firms, such as the Negative Balance Protection, the ICF protection and the segregation and holding of their funds in top-tier banks. Apart from the implications that the ESMA decision may create for the retail trader, it could also have adverse effects for smaller firms that may not be able to cover the compliance costs that being regulated in Europe entails. These firms will have to find alternative ways to manage their business risk and overcome the challenges that the industry is going through at the moment. We hope that there will be a compromise solution, which will be beneficial for both the traders and the industry. The primary goal should be to protect investors from the potential risks of CFD trading without over-regulating; implementing too strict measures might yield the opposite results from what the regulators want to achieve. The industry can become better and safer, and this is what we should aim for at all times. LR: What else can we expect to hear from TopFX in the coming months? Prokopios: Our main goal is to keep improving our offering by establishing new strong partnerships with key market participants. We are currently looking into integrating with new service providers so that we can support more instruments and improve the execution speed for clients who are based in different geographical regions. Besides the expansion of our business relationships, we plan to add new instruments and asset classes in order to enrich our product base and give our clients plenty of room for customising their offering. We truly believe that our true transparency, extensive selection of markets and superior trading conditions will continue to offer us an advantage over other Prime Brokers. TopFX interview | Success is a matter of trust! TopFX ’s flourishing journey and our clients' loyalty prove that we have succeeded in delivering the quality service we aimed for. The 2-in-1 broker solution is the product of our partnership with Spotware, the developer of cTrader, a suite of innovative trading platforms which have won multiple high-profile awards.